Dr. Joel Schlessinger blog: info you want and need about advanced skin care. As the year comes to a close, it’s important to reflect on my team’s accomplishments this year as well as the incredible support from patients, customers and family, and our amazingly dedicated staff. We grew significantly in many ways this year as we continued to add new staff members, patients and customers for the store and website. While many changes were internal ones that simply made our website better and more intuitive, there were also significant changes that were implemented to make your experiences at LovelySkin.com better. 1. Expanded customer service! You are the reason we come in every day and love our jobs so much. We expanded our customer service department from 6 to 12 employees to allow for more hours and better service for you, including quicker live chats, phone calls and email responses. 2. New website enhancements! Now you can easily access LovelySkin on mobile and tablet, search for your favorite products in the expanded search bar and even find the perfect shade for yourself with our popular makeup ‘shade selector’. 3. Video! We expanded our offerings greatly over the year, adding many fantastic tutorials by our terrific staff members (here’s a sample of some of our favorites). 4. Introducing LovelySkin Luxe! We spent 18 months producing five products from scratch, researched in-house and developed to my standards. While most brands are rushed to the market to bring in orders, we took the time to create a product that is truly unique and offers the best dermatological benefit. We’re so pleased with your feedback – thank you! 5. Lastly, your continued support! I am ever grateful for continuing to be a Google Trusted Store and BizRate Platinum Circle of Excellence award winner, recognitions shared with very few etail stores. Thank you for your continued trust and support! There were also many noteworthy happenings during the year. I was honored to speak at the Internet Retailer Conference this past summer. While I have spoken at and run many dermatology conferences during my career, I never thought I would have the opportunity to speak on this ‘chapter’ of my life. It was fun to be able to share my methods of taking a ‘medical’ approach to selling on the internet and how I use the lessons from my medical training every day in the management of LovelySkin. LovelySkin was once again able to lower the price for international shipments from $30 to $25 and $20 to $15 to Canada (with minimum order prices of $100). The result is a significant increase in our reach around the world. With over 200,000 Facebook fans and hundreds of thousands of other users of LovelySkin, our reach around the world (and more ‘pen-pals’ for us!) and involvement in the industry continues to grow. We continue to remain a family organization even as we grow and that is really important to us. We have fun at work, and our team enjoys what they do, every day of the year. Without that, we wouldn’t continue to have our high level of customer satisfaction, and we don’t intend to change that any time in the future! As I stated last year, we never want to be a ‘corporate’ website – instead, we relish our personal involvement with our users as a family-owned business. We have had many offers to sell to larger companies, but we continue to enjoy being your source for skin care and don’t see any reason to become part of a larger, stock market-based company. 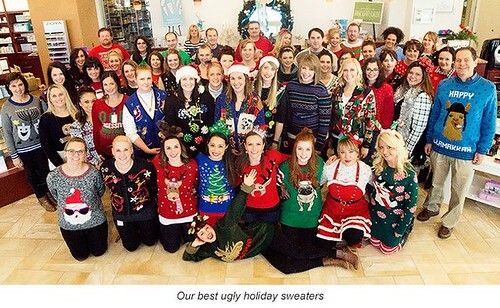 Our Omaha-based, Midwestern values-oriented customer service is a distinction we hope never goes out of style. One other value that we have is that of helping others, something that our entire team did this year when we worked to help out at a local charity shelter and many other places. Please see the video here that details the work our folks did. The invention that my son Daniel and I introduced four years ago, FixMySkin Healing Balm with 1% Hydrocortisone, continues to be very popular! It is now sold in over 175 dermatology offices across the world, 300 Walmart locations and, of course, on LovelySkin.com. Additionally, it continues to get great reviews and offers a low-cost method of improving skin conditions such as eczema, dry lips and cracked fingers in a simple delivery system. It makes us so very happy to know that we are helping people who may not have ready access to a dermatologist for their skincare needs. The medical side of the business has continued to grow, while we have added several new procedures this year. Additionally, we recently completed two trials on topical botulinum toxins for sweating, several new product trials on hand creams, and neck creams, and a ground-breaking trial on a new biologic medication for psoriasis. The innovation that continues in our field is truly incredible. I am fortunate to be in a specialty, dermatology, that is filled with remarkable individuals who help to advance science, while making products and procedures safer and more effective. This was the seventh year for our Cosmetic Surgery Forum conference in Las Vegas which I founded to train young and established dermatologists on new techniques in dermatology and cosmetic surgery. Over 375 attendees were present this year, and I personally sponsored 75 residents (now a total of 575 since inception) in dermatology, ophthalmology and plastic surgery so they could learn and be a credit to the profession I love and respect. The LovelySkin retail store has continued to be successful in its fifth full year, and was once again voted the Best Beauty Supply Store in Omaha this year. Competing against powerful and well-known brands was a huge challenge, but we succeeded! Additionally, our website, LovelySkin.com, was voted one of the top three websites in Omaha, which was rewarding for our entire staff! Our spas, LovelySkin Spa in the clinic and LovelySkin Spa Express in the retail store, were honored as one of the top three spas in Omaha – for the third year in a row! Both spas are seeing large increases in services performed and customer satisfaction, which is a source of pride for all of us. We finished a complete remodel of the spa and clinic this year, which was a trying, but ultimately happy experience. I was fortunate and honored to be voted Doctors’ Choice for Dermatology in Omaha for the second time this year as well as receiving Best Dermatologist and Best Cosmetic Surgeon awards for Omaha this year. Thank you to all of you who voted. On a personal note, my son, Daniel, started medical school in August and is working incredibly hard at it and doing well. He loves it and the lessons he is learning are invaluable. Nancy, my wife, is continuing to work very hard behind the scenes in the practice and website and brings so much wisdom to me. Our daughter, Claire, finished a computer coding course in San Francisco and is enjoying her new profession while she hunts for a job. Our sweet pug dog, Emmy, made an incredible video appearance on the website in our Halloween video in a scary role! At 13 and a half years, she is one of our senior staffers and clearly the most loved member of the LovelySkin family. My parents, June and Bernie, continue to be a source of strength and my inspiration for how to live a good life. They have been married for over 63 years and still help out in so many ways, including proofreading and other sundry tasks. They are a blessing to all of us. I wish you and your families success and happiness in the year to come. My staff and I deeply appreciate your loyalty over the years and hope to always live up to your expectations by providing you with the best patient care and customer service. Most of us would try just about anything to get rid of dry winter skin. At only 12 years old, Dr. Schlessinger’s son, Daniel, took it a step further: he invented his very own treatment. 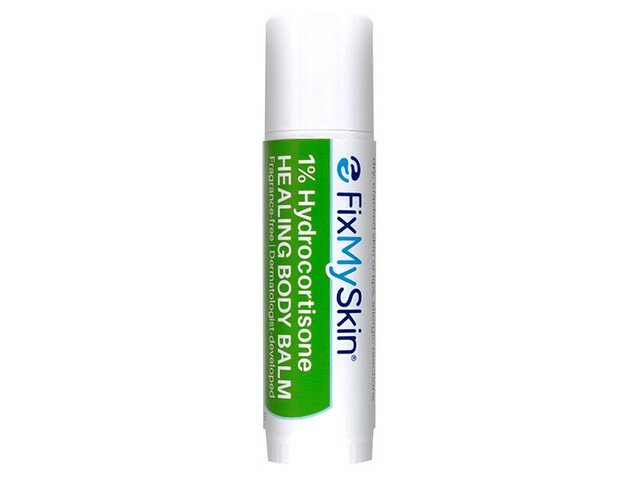 FixMySkin Healing Balm with 1% Hydrocortisone works to heal and hydrate dry, itchy skin. During a particularly harsh Nebraska winter, Daniel, then in seventh grade, was struggling with dry, cracked skin on his hands and cracked skin on fingers, and lotions weren’t helping. One day, he applied a little lip balm to his fingers and knuckles to see if it might make a difference. To his surprise, it did seem to work better than lotion, but his skin still wasn’t completely healed. This sparked his curiosity. Why wouldn’t lip balm work to heal chapped, irritated skin on his hands if it worked so well to cure chapped lips? Dr. Joel Schlessinger and his son embarked on a five-year journey. Daniel learned that the skin on the hands and lips is quite different. The outer layer of skin is called the epidermis, and it has a protective covering called the stratum corneum. The stratum corneum on our lips is significantly thinner than on our hands and the rest of our body. While a medicated lip balm can penetrate the thin stratum corneum of the lips with ease to deliver healing properties, it needs to work a little harder to reach beyond the thicker stratum corneum over skin in other areas. The lip balm Daniel applied worked well to hydrate and soothe, but the active ingredients simply weren’t strong enough to completely heal his hands. From there, the goal was clear. Daniel wanted to develop a balm that was powerful enough to heal both dry skin on hands and the lips. It needed to be non-greasy, easy to apply and it had to taste good, too. Enlisting the help of his father, Dr. Joel Schlessinger, as well as his mother, sister and grandparents, he set out on a five-year journey that would lead to the conception and launch of FixMySkin Healing Balms. Daniel and Dr. Schlessinger decided early on that they wanted to add hydrocortisone, a highly effective, yet gentle corticosteroid, to the balm. 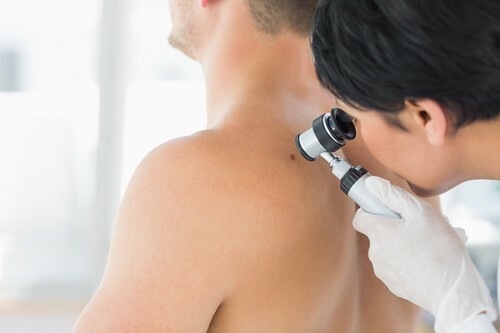 This top dermatologist-recommended ingredient is proven to help relieve insect bites, rashes, allergic reactions, chapped skin, itching, eczema, psoriasis and more, and it’s an excellent all-in-one healer for everyday skin concerns. But settling on the perfect formulation wasn’t easy. The Schlessingers worked over five years to develop 54 different versions of the balm before they had a product that couldn’t be topped. Learn how to get rid of dry skin with FixMySkin, invented by Dr. Joel Schlessinger. FixMySkin Healing Balms are formulated with 1% hydrocortisone to help heal damaged skin cells, target inflammation and relieve itch. Shea butter and cocoa butter, two top therapeutic moisturizers, work to soothe, soften and hydrate skin. These proven ingredients come together in an easy-to-use balm stick that can be applied directly to dry, irritated skin. The stick comes in a larger unscented version for the body and smaller unflavored and vanilla varieties for the lips. The balms are compact enough to take with you anywhere and they’re heat-resistant so they’ll never melt in your pocket. They can be applied anywhere to the face, lips and body and they work wonderfully on cracked skin on fingers, cracked knuckles, peeling fingers and rough knees, heels and elbows. Find out what patients of Dr. Joel Schlessinger say about FixMySkin. FixMySkin is now sold in Walmart and more than 150 physician’s offices around the country. Read more about what patients have to say about the balms here. Do you have a question about FixMySkin Healing Balms? Let us know in the comments section. When you’re a dermatologist, one of the most frequent questions people ask is what you use on your skin. 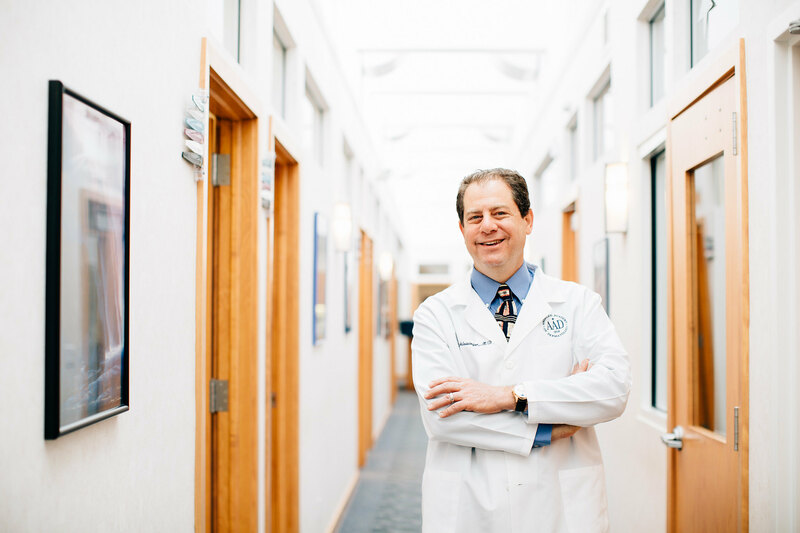 Dr. Joel Schlessinger’s patients and colleagues often ask what he uses in his day-to-day skin care routine to keep his skin healthy. 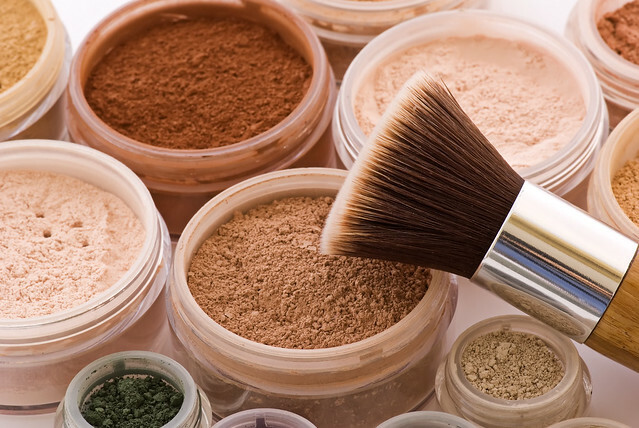 Here, we’ll tell you exactly which products he goes back to time after time. Dr. Joel Schlessinger’s favorite lines are LovelySkin and now LovelySkin LUXE. During the past year, Dr. Joel Schlessinger helped formulate and create the LovelySkin LUXE line which includes high quality products with effective ingredients. The entire line is sulfate-free, paraben-free, gluten-free, sodium lauryl sulfate-free and cruelty-free. To cleanse his skin, Dr. Joel Schlessinger uses LovelySkin LUXE Clarifying Gel Cleanser with glycolic and salicylic acid to exfoliate the complexion. As a dermatologist, Dr. Joel Schlessinger understands the importance of taking preventative anti-aging steps. Every day he uses LovelySkin LUXE Brightening Eye Cream to target dark circles and fine lines around the eyes. The formula uses self-adaptive optical technology which diffuses light to instantly brighten the eye area. He also applies LovelySkin LUXE Cellular Anti-Aging Peptide Serum. Dr. Joel Schlessinger has been a long-time fan of the LovelySkin Exfoliating Gels which have recently been added to the LUXE line. He always uses them in his skin care routine but switches up which formula depending on the time of year. When he needs an extra boost of exfoliation, such as during the dry winter months, he uses LovelySkin LUXE Exfoliating Gel Max 19%. At other times of the year, he uses LovelySkin Exfoliating Gel Mild 11% or Plus 15%. All three formulas contain amino fruit acids to exfoliate and renew the complexion. They also contain vitamin C to boost collagen production and promote a more even tone. Sun protection and shaving products are two staples in Dr. Joel Schlessinger’s routine. No one understands the importance of daily sun protection better than a dermatologist. Dr. Joel Schlessinger’s favorite daily sunscreen to use in his skin care routine is EltaMD UV Clear Broad-Spectrum SPF 46 Sunscreen – Untinted. The formula is paraben-free, fragrance-free and oil-free and is extremely lightweight so it does not feel heavy or greasy on the skin. When he shaves, Dr. Joel Schlessinger uses ELEMIS Time for Men Skin Soothe Shave Gel. He loves that the formula hydrates skin while shaving. The formula also contains soothing ingredients such as aloe vera that help prevent irritation, razor burn and ingrown hairs. Which of the products in Dr. Joel Schlessinger’s routine have you tried? Let us know in the comments. You might remember that scene from the 80s classic, The Breakfast Club, where Allison passes the time in Saturday detention by drawing a snowy landscape and then decorating it by shaking the “snow” from her hair. Many of us experience dandruff, or small pieces of dead skin from the scalp, especially in winter when the air grows drier. And since we likely don’t have a “creative” use for it like Allison’s character, it’s just a bit of a nuisance, showing up in our part and settling on our collars and shoulders like a conspicuous blizzard. The good news is, like many pesky skin conditions, dandruff is harmless. But it can be itchy, not to mention embarrassing. In this blog, we’ll discuss the ins and outs of dandruff, as well as some effective treatments for minimizing those annoying flakes. Short answer: a lot of things! It’s perfectly normal to notice a small amount of flaking on a regular basis due to the natural skin cell shedding process. However, with dandruff, skin cells die off and shed at a faster rate. A normal skin cell shedding cycle takes around a month for healthy adults. Those who experience dandruff could have a cell turnover cycle that lasts as little as two days, creating a “snowstorm” of white flakes throughout the hair. 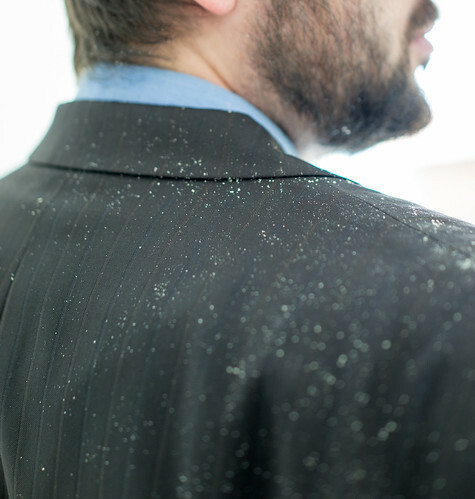 An immune system response could cause dandruff, says Dr. Joel Schlessinger. Dry skin is the number one culprit for dandruff, which is why it’s so prevalent during the winter months. 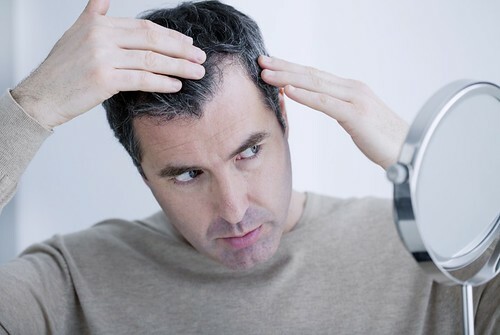 The skin over our entire body tends to grow dry, tight, flaky and irritated, and our scalp is no different. Other chronic dry skin conditions, such as eczema and psoriasis, can cause dandruff, as well as a very common fungus called malassezia. Malassezia lives on most healthy scalps without issue, but doctors believe that in some patients, an immune system response to it can cause or exacerbate dandruff. Over-shampooing can also dry out the scalp, as can sensitivity to certain hair products, mostly those that contain fragrance and other common irritants. Remember, dandruff is rarely a hygiene issue. It can certainly be unsightly, especially when we wear our favorite black sweater, but it doesn’t mean those who struggle with it are unclean in any way. You should be able to treat dandruff at home without a prescription, but we do recommend staying away from natural home remedies. “Botanical” or “natural” doesn’t always mean it’s good for your skin, and certain oils and extracts are known to be irritating. Instead, explore dermatologist-approved products with ingredients that are proven to be effective. Discover anti-dandruff treatments recommended by Dr. Joel Schlessinger. One such ingredient is coal tar, a substance that, for reasons that are largely unknown, helps reduce itchiness and inflammation, possibly by reducing the production of new cells. Though coal tar once had the reputation for being sticky and unpleasant to use, formulas have come a long way in the last few decades. Tarsum Professional Shampoo is a richly foaming gel that helps diminish flaking with 2% coal tar. It may be used as a shampoo or full strength treatment as needed. Zinc pyrithione is an anti-fungal and anti-bacterial ingredient that is often used to treat mild to moderate eczema. It’s found in the majority of drug store anti-dandruff products, making it a common option for treating seasonal flakes. We like Derma Topix Zolidyne Shampoo, which contains 2% zinc pyrithione, plus the gentle exfoliator, citric acid, to relieve itch and eliminate dry skin. You may have noticed salicylic acid listed as the active ingredient in your acne cleanser. That’s because it’s known as one of the best ingredients for purifying pores and ridding skin of bacteria, oil and other impurities. Salicylic acid similarly treats dandruff by acting as a mild exfoliator, dissolving debris, clearing hair follicles and promoting a more balanced, healthy scalp. PHYTO Phytheol Intense Anti-Dandruff Treatment Shampoo is suited for even severe cases. It features 2% salicylic acid to treat dandruff and coconut oil to nourish, hydrate and revitalize tired tresses. Another favorite salicylic acid formula at LovelySkin is CLn Shampoo, an anti-bacterial option that also works to treat conditions like staph, folliculitis and eczema. How often you’ll need to use a treatment depends on how severe the dandruff is, but generally, twice a week is a good place to start. You can alternate with your regular shampoo or work in extra treatments in the evenings if you wish. If you’re still experiencing an itchy scalp and daily flaking, even after trying a few over-the-counter products with different active ingredients, it may be time to visit your dermatologist. Your dandruff could be caused by another skin condition entirely, and your physician can recommend prescription-strength shampoos and topical treatments. Do you have a question about dandruff for Dr. Schlessinger? Let us know in the comments section.